By default the area series are pained from bottom to top (above the horizontal axis). 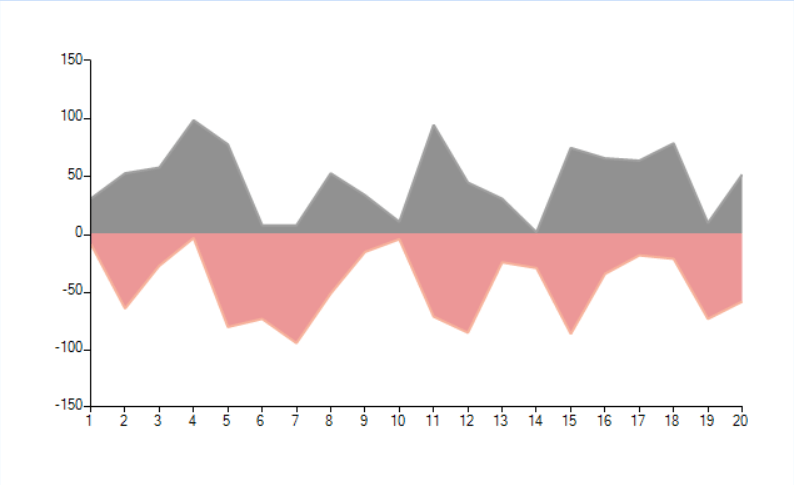 This article shows how you can paint a chart where the area is started from zero. This means that the positive values will go up and the negative down. The solution is to create a custom renderer, and custom draw part which allows you to override the entire painting code. You will use most of the default logic. What you need to change is the Y position of the are rectangle to be on the zero value. Now you are need to change the default draw part within the custom renderer class. The final step is to setup the chart and change the defualt renderer. A complete solution is available in our SDK repository.